The infamous ski races at Winter Clinics have been running for almost as long as the CME event has and its as much a part of the tradition. Naturally there are some perennial favorites like Chris Gussner who has claimed the men's trophy 12 of the last 17 years who definitely needs to be challenged. 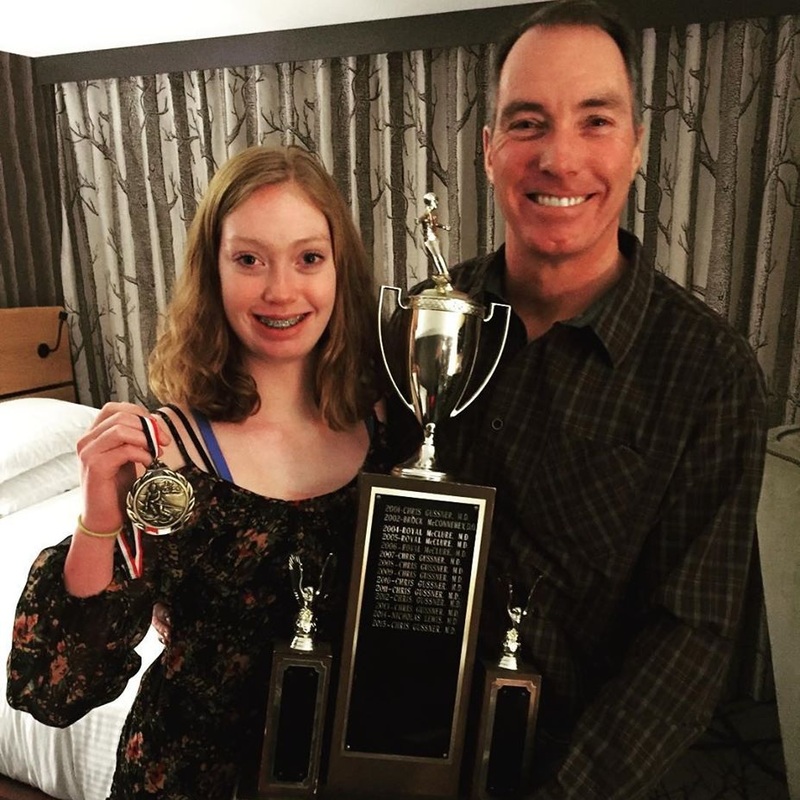 Gretchen Hecht won the trophy so many times since the mid nineties that we finally renamed it as the ACMS Gretchen Hecht Women's Ski Race Award to allow others to compete for the title. The races are held on Saturday, 1:30-4 PM generally on the Badger run and designed so that everybody can participate. This year we will be racing contestants head-to-head in a bracket tournament and there is room for about 36 races. A waiver form must be signed below. We’ve not run snowboarding races before, and not sure we’ll have enough to make it worth it, but go ahead and indicate your interest below and maybe we’ll make this an “exhibition” category if we have enough. Awards are given at 6 PM before the evening banquet and video color commentary of the races is generally played too. Please fill out the form below for each participating racer. to secure your space.